24 Sep Filed under Uncategorized. Tagged Bicycle, Bike, Cyclists, Fixies, Helmet, Hipsters, Ignorant, Safety. Bookmark the permalink. Post a comment. Leave a Trackback (URL). I’m not going to go to far into this post topic. I wrote a pretty concise and accurate Facebook account about this so I’m going to let this do the talking. Somehow, it got a lot of reaction, mostly positive . . . and people started re-posting it. Amazing. It’s come to my attention that there is a faction of cyclists that are actually promoting NOT wearing helmets while riding a bicycle in the city. They believe non-cyclists will see a cyclist with a helmet and perceive the activity as “dangerous” and never ride a bike. To them I say talk to the two motorists that have “doored” me. How about talking to the cab that side swiped me and flipped me over? Hey, how about asking the numerous people talking on their cell phones who almost crushed me? Or the guy in the van who hit me, sent me to the hospital only to find out that my helmet protected the back of my head when it hit the pavement. Yeah, helmets, who need em? Nah, forget about it. As an urban cyclist for the past 17 years, I say we also do away with seat belts, airbags, preventative medicine of any kind, child proofing, guard rails, EXIT signs, indoor sprinkler systems, fire extinguishers . . etc. Because when I see those things, I don’t want to drive, be healthy, walk, have kids, go to a theatre, be in any building of any kind . . .
To all non cyclists out there — join us sane commuters who have chosen to save gas and money by cycling when we can. And go ahead a get yourself a helmet. It won’t make you look weird or uncool. 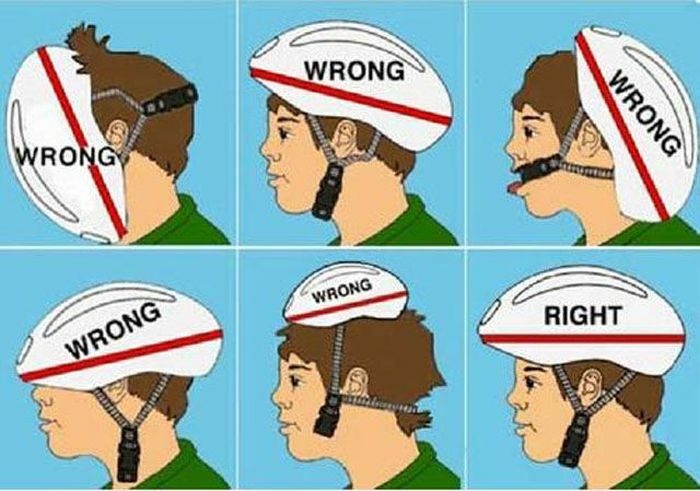 Heck, go get a cool skater helmet, it doesn’t need to be a racing helmet. Us sane cyclists would love to share the lanes with you. As a point of reference for this blog post, let me give you a list of jobs* I’ve held over the years.